Investor interest in the middle-market retail sector appears to be heating up. And as a number of key market conditions evolve, a more favorable environment for retail M&A may be on the horizon. Aided by an improving economy and growing global markets, retail business owners and investors alike are getting in position to make a move. Today, retail M&A is at a point where retailers and investors really need each other. Retailers need investors to aid expansion efforts and gain a competitive edge as omnichannel retailing explodes. At the same time, both private equity and corporate investors have stockpiles of cash they need to invest. So why are things looking up for retail M&A? Growing consumer confidence. Consumers need to have the confidence to spend money and the disposable income available to give retail the boost it needs. If we look at the Consumer Confidence Index in May 2010 (63.3),1 compared to May 2014 (83),2 we’ve come a long way. Sure, we have a way to go, but clearly, consumer confidence is trending up. At the same time more consumers are employed today. The unemployment rate at the end of May was 6.3 percent.3 While unemployment is still a drag on the U.S. economy, it has declined significantly from the staggering 10 percent that the Bureau of Labor Statistics reported in 2010. In addition, a PwC CEO survey revealed that “18 percent of retail and consumer CEOs plan to initiate or complete a cross border deal” in the next year. Rapidly growing international economies are providing appealing opportunities for retailers unable to achieve growth organically.5 Business owners should seek M&A with investors who have insight and access to resources in global markets. Consumer demand for omnichannel retailing. Today’s consumers expect to complete retail transactions in a variety of ways: from traditional storefronts, outlet stores and online stores, to emerging mobile and social transaction technologies. To stay competitive in the retail environment, business owners will need to adapt. Many retailers won’t have the know-how or funding to develop an efficient and secure omnichannel plan. You can expect these retailers to seek out investors and investment bankers who can facilitate financing and expertise in the omnichannel environment. Big retailers are using M&A to grow. Many retailers struggle to grow organically, which often means they will seek growth through acquisition. We’ve seen this occur among some high-profile retailers who have gone after direct competitors to meet expansion goals. Two prime examples include the $1.8 billion Men’s Wearhouse acquistion of Jos. A Bank this past March and the merger of Office Max and Office Depot last year. 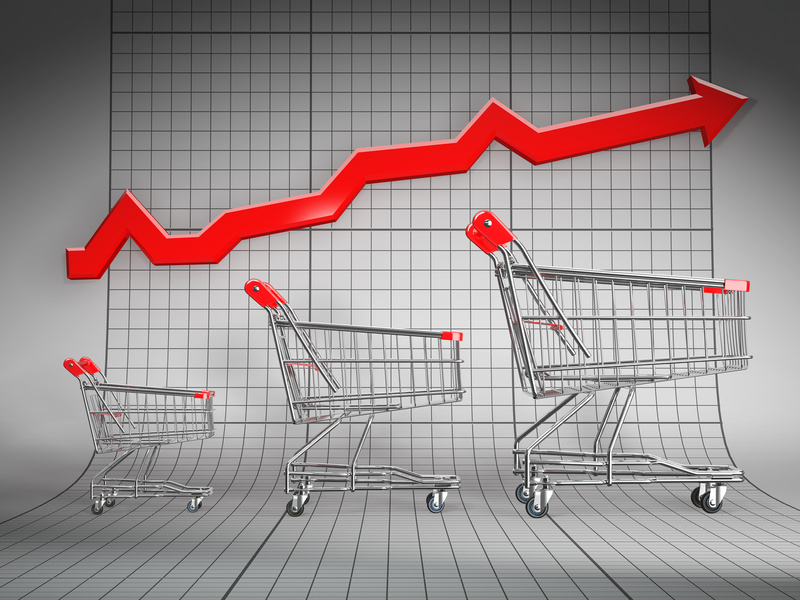 Activity is slowly heating up in the retail sector – for deals of all sizes. This could bode well for middle-market retailers, manufacturers and supply chain service providers. Eventually, investor competition to acquire successful, privately held, retail-focused companies will accelerate. And as this investor competition swells, company valuations will rise. 1. Yousuf H. “Consumer confidence on the rise.” May 25, 2010. CNNMoney.com. Available at http://money.cnn.com/2010/05/25/news/economy/consumer_confidence/. Accessed June 13, 2014. 2. “Consumer Confidence Survey.®” The Conference Board by Nielsen website, www.conference-board.org. Available at https://www.conference-board.org/data/consumerconfidence.cfm. Accessed June 13, 2014. 3. “Employment Situation Summary” [press release]. June 6, 2014. Bureau of Labor and Statistics website www.bls.gov. Available at http://www.bls.gov/news.release/empsit.nr0.htm. Accessed June 13, 2014. 4. Craig V. “M&A Activity Fearless Against Fed’s Looming Interest Rate Hikes.” June 4, 2014. Fox Business website, www.foxbusiness.com. Available at http://www.foxbusiness.com/industries/2014/06/04/ma-activity-fearless-against-future-rate-hikes/. Accessed June 13, 2014.
http://www.pwc.com/us/en/press-releases/2014/multibillion-dollar-deals.jhtml. Accessed June 6, 2013. 6. Kulikowski L.”Will Express Lead to Other Retailers Being Snapped Up?” June 13, 2014. TheStreet website, www.thestreet.com. Available at http://www.thestreet.com/story/12744149/1/what-other-retailers-could-become-ma-targets.html. Accessed June 13, 2014. 7. “Cramer: Aggressive M&A signals shares undervalued.” CNBC website www.cnbc.com. Available at http://www.cnbc.com/id/101744499. Accessed June 13, 2014.